Walk the dog. Fido needs his exercise too, so why not round up the whole family for a brisk trot around the block. Pull weeds. Yard work can be very constructive exercise. Make a game of pulling weeds, raking up debris, and riding in the wheelbarrow. Play hopscotch. Get out the sidewalk chalk and invite the neighbor kids over for an afternoon of hopscotch. Have a hula hoop contest. If you have a few hula hoops collecting dust in your garage, great! If not, a 30-minute dance party works just as well for showing off those moves. Jump rope. Take it from Rocky Balboa, this is one effective way to get in shape. Boys love the challenge of jumping rope and girls love the sing-song schoolyard chants. Great tips for kids! I don't think today's kids get enough exercises around the house or even in school. They're in front of the tv with a can of soda or soft drinks. I think parents and school should do better job of getting kids to be active whether letting them play for an hour a day or do some simple activities listed above! 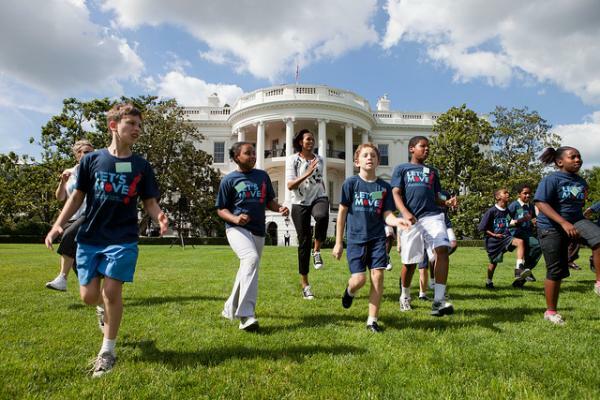 Thanks for the kudos--we definitely believe in the importance of kids staying active. Glad you found these tips helpful!